DISTRICT OF COLUMBIA — Sen. Orrin Hatch, R-Utah, invited Laurie Holt to Washington this week to discuss the welfare of her son, Joshua Holt, who is being held captive on alleged weapons possession charges in a Venezuelan prison. Meeting in the senator’s office, Hatch introduced Laurie to Under Secretary Thomas Shannon, who has worked closely with Hatch to secure Josh’s release for the last several months. “We are still fighting on a number of fronts for Josh, and I was pleased to introduce Laurie to some of the government officials who are helping us in this effort. As long as I’m a United States Senator, I will never give up until we see justice for Josh. In the meantime, Elaine and I will continue to keep Josh, his wife Thamy, Laurie, and the entire Holt family in our prayers,” Hatch states in a press release issued by his office Wednesday. Hatch also discussed Josh’s case with Secretary of State Rex Tillerson in a private meeting at the White House. Joshua Holt went to Venezuela in June 2016 to marry a Mormon woman he met online. Following their honeymoon, it was the couple’s plan to return to the United States, however he was arrested and charged with possession of weapons. Authorities contend Joshua Holt was stockpiling weapons in his wife’s Caracas apartment, The Associated Press reported. Holt’s family says he is innocent and the weapons were planted in his apartment and that he is being used as a political pawn. 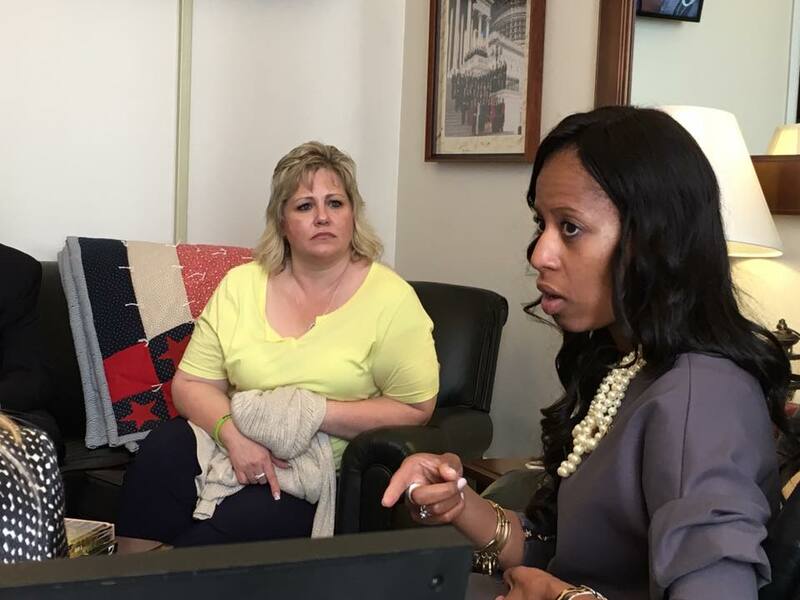 Utah Rep. Mia Love also met with Laurie Holt while she was in the nation’s capital, adding her assurance that she would fight to bring Joshua Holt home. “Today I met with Laurie Holt, who’s (sic) son Joshua is being unjustly held in a Venezuelan jail. It’s a frustrating process, and hard on Laurie. I told her I’m not giving up the fight to bring him home,” Love wrote in a Facebook post shared on the Justice for Josh Facebook page Wednesday.